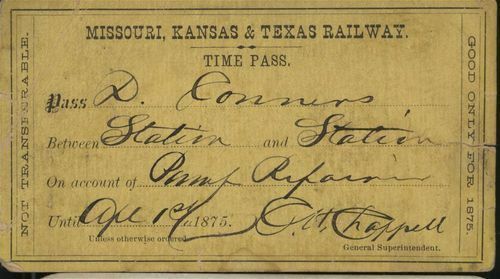 Railroad passes issued to D. Conners & F.A. Melluish to various stations in Kansas. The passes are part of the Charles "Bud" Goebel Collection.